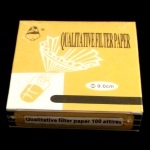 Filter paper. Qualitative. Ash content 0.15%. Boxes of 100 circles.